Last year I posted here about how amazing termite mounds are and how they often tilt towards the equator. Termites make them from saliva, poop and soil, and use them to regulate temperature and humidity and farm fungus. 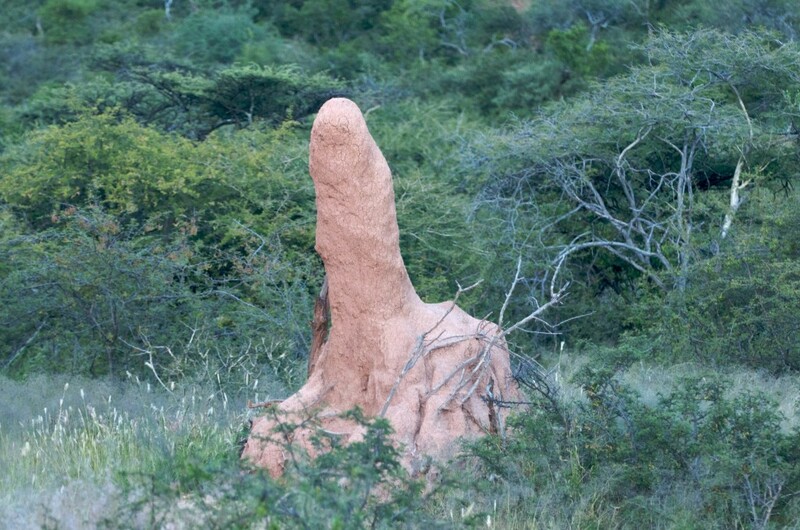 In addition to what must be some fascinating microbiology, we could learn a lot about how to design energy efficient housing from termite mounds as they remain cool even on very hot days. Moreover, termites and other animals that dig burrows are considered to be important ecosystem engineers that many other species depend on. A number of mammals in Southern Africa use the remains of termite mounds as burrows, including the black-footed cat. Recently I helped the black-footed cat working group capture these cats in South Africa and we had to dig some of them out of their burrows in order to replace their radio collars even though it was more than 100 degrees F. We are studying the gut microbiome of the black-footed cats in order to see how this wild cat compares to its cousin, the domestic cat. The extent of underground tunnels in these mounds is truly impressive. These small nocturnal cats are far more sensible than us scientists on a hot summer day. A black-footed cat in a burrow in the Karoo region of South Africa, looking unpleased with the intrusion. Photo by Beryl Wilson, Black-Footed Cat Working Group. 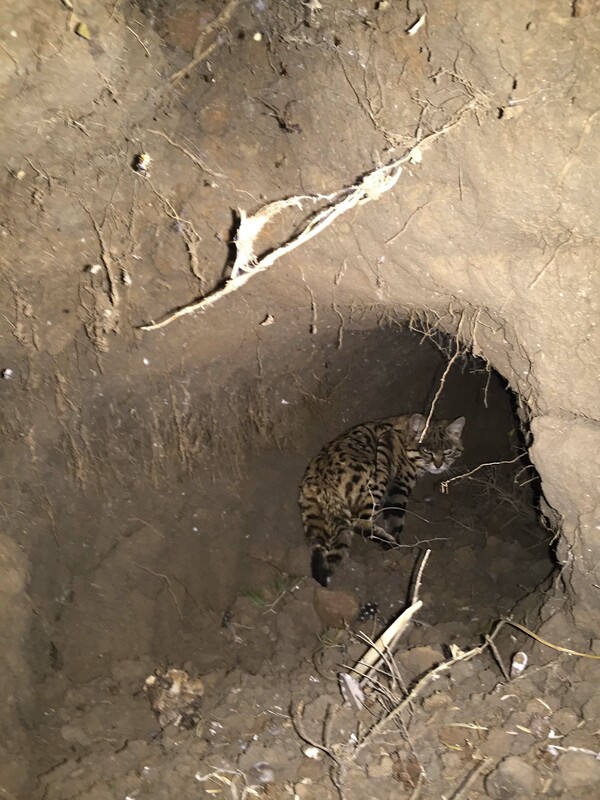 The Black-Footed Cat Working Group digs out a burrow. Photo by Holly Ganz. 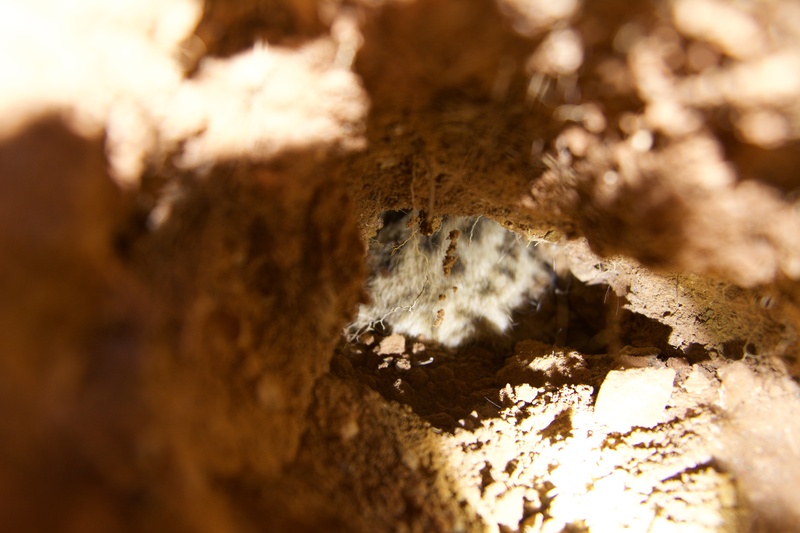 A black-footed cat hiding in a cavity several meters away from the entrance to the burrow. Photo by Holly Ganz. 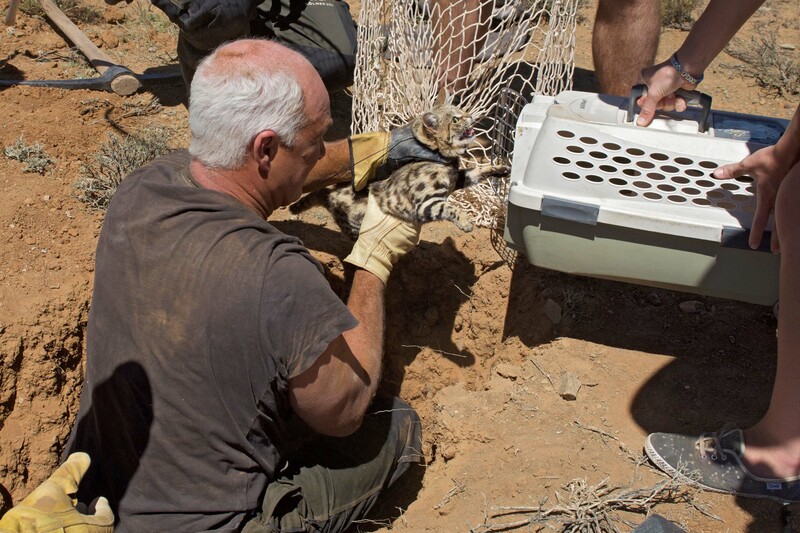 Dr. Alex Sliwa extracting a black-footed cat from an extensive burrow system in order to change her radio collar. Photo by Holly Ganz.